Step 1 Heat the oven to 325 degrees. In a medium saucepan, combine the sugar, water and lemon juice. Bring to a boil over medium-high heat, stirring frequently, then remove from heat and set aside to cool. Step 2 In a large bowl, sift together the baking powder with the flour. In a separate medium bowl, beat together the eggs, cooking oil and yogurt. Gently stir the liquid ingredients into the dry. Knead to a fairly soft but not sticky dough, adding a little water if necessary. In Recipes-list.com we have selected the most viewed recipes from category - Best recipes Desserts . Enjoy the best recipes specially selected for you! 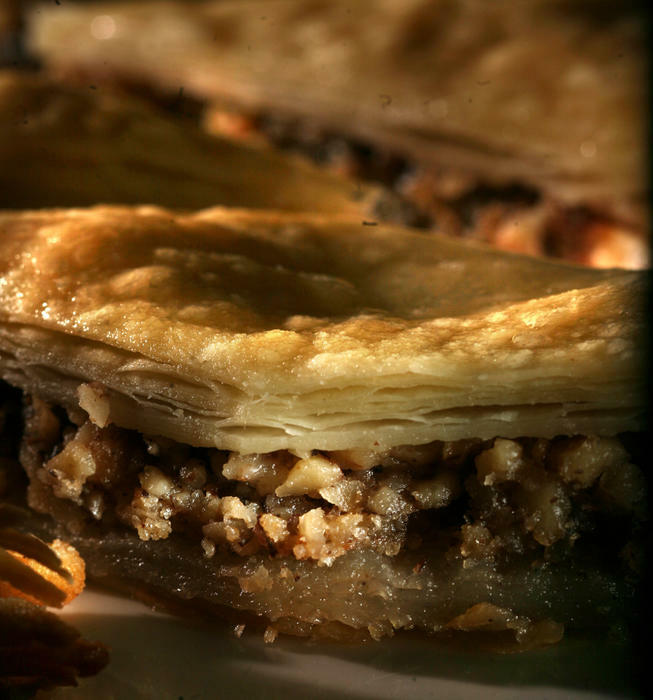 Baklava is the right choice that will satisfy all your claims.